The new look is inspired by the feel of a French courtyard and according to Kristi, “We’ve blissfully achieved that.” Every time Kristi comes to work, she feels as though she’d stepped through the doors of a Parisian café. 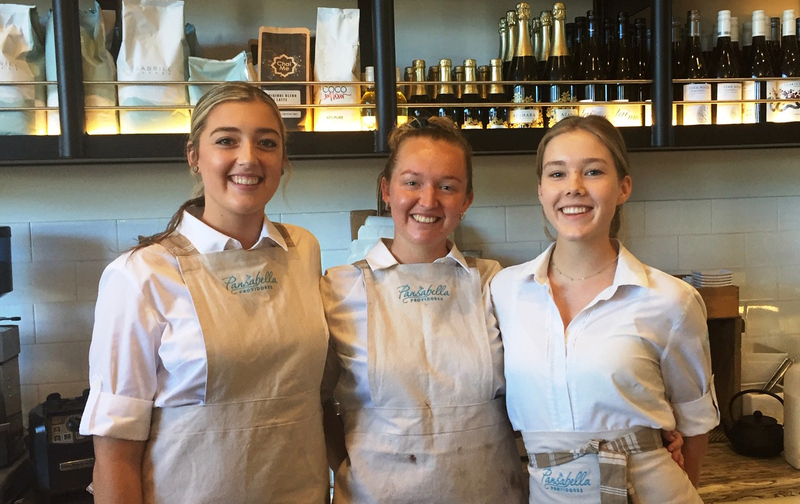 “We’re playing French music and there are beautiful, authentic items here that I bought when I was in Paris last year.” Customers adore the changes and staff are loving their new workspace too – they also look great in their gorgeous vintage French linen uniforms. It’s no wonder that the Francophile drew on her past experiences of living in Europe when it came to her vision for the café. It’s now been eight years since Kristi started Pansabella. 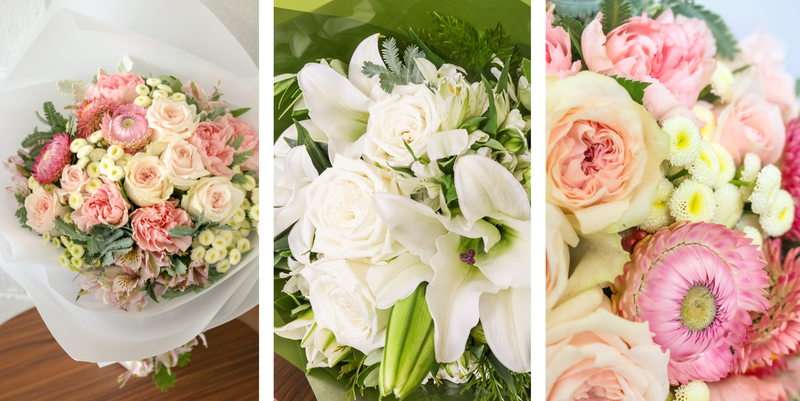 Opening the business was motivated by her love of fresh flowers, delicious coffee and beautiful cheeses – all of which had been part and parcel of her time living overseas and in Sydney. The ideal solution? 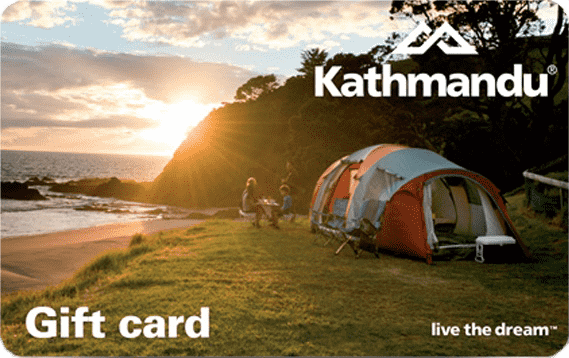 Create a business in her hometown of Coffs Harbour that offered all of those things. Pansabella has long been a family affair and the refurbishment is no different. Even Kristi’s two children, Grayson (5) and Winter Rose (3) chipped in to help. “Everyone got to work! It’s really satisfying to look around and know we’ve been part of this process” Kristi points in the direction of the big bench seat at the back of the café and tells me the different layers of wood were hand-sanded by her sister, husband and even one of her oldest friends so it’s been a labour of love for everyone. 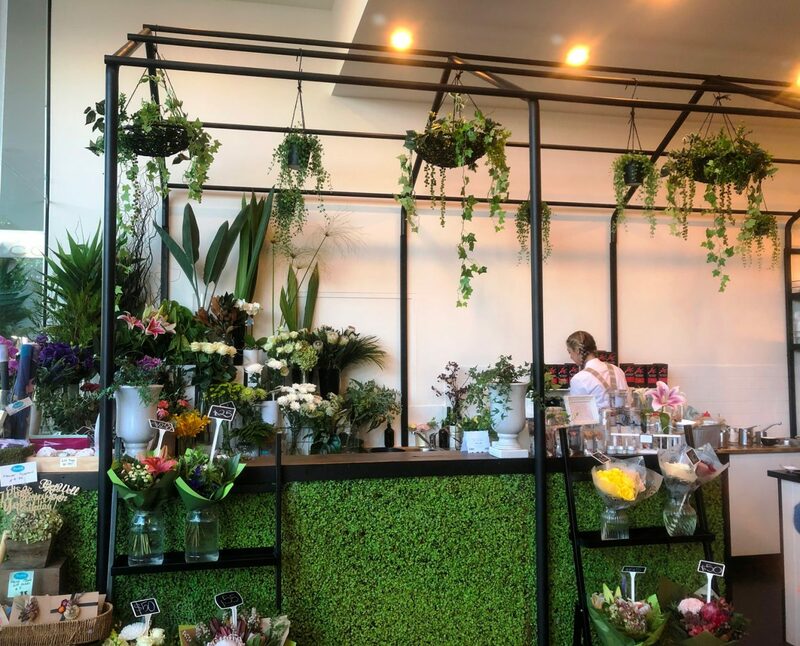 Near the street entrance is a striking greenhouse frame with trailing ivy which gives Kristi and her assistant florist more space to create beautiful and original floral works of art. And while the changes appear to have happened quickly, plans have been a long time in the works. Kristi describes the refurb process as a very collaborative one with Gowings, the owners of Coffs Central Shopping Centre. 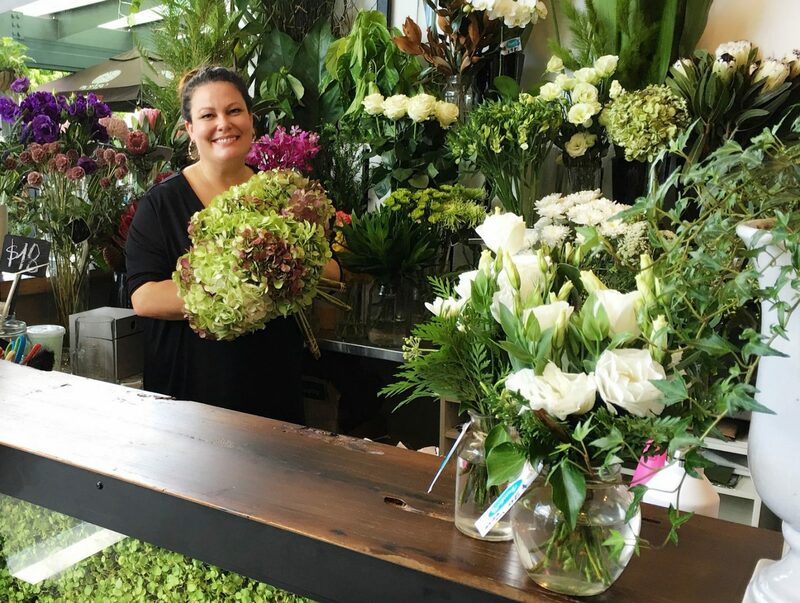 So, if you’re up for a delicious meal with a vino, wish to buy a stunning bouquet of flowers or desire feeling like a Parisian for a little while, be sure to stop by Pansabella to see Kristi and her team in their gorgeous new space.